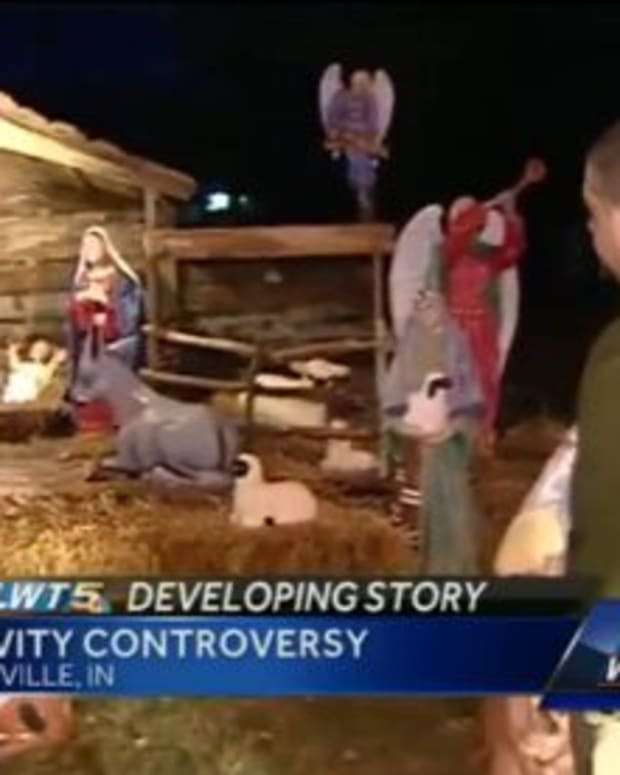 An Indiana town voted to relocate its Nativity scene for 2016 despite having won the right to keep it on government property. 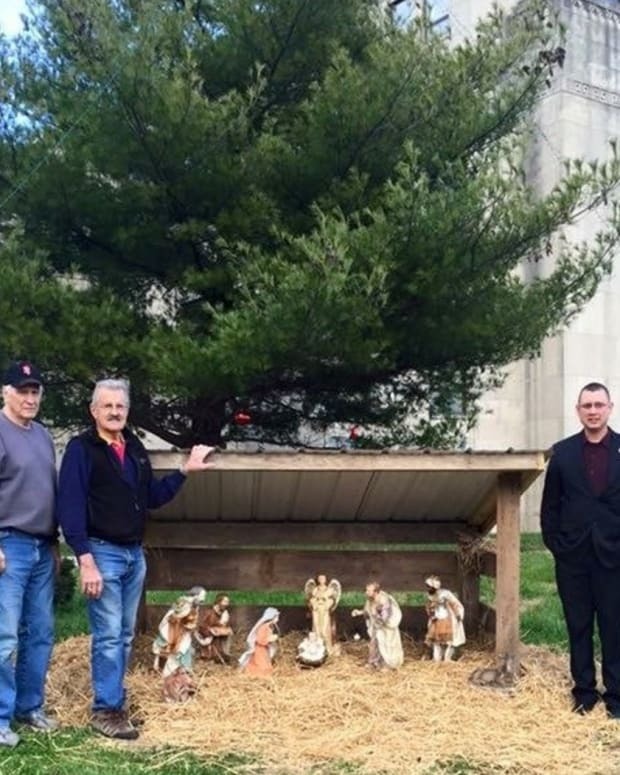 The Nativity scene had been placed outside the Franklin County Courthouse of Brookville, Indiana, every holiday season of the last 50 years, according to Eagle Country 99.3. 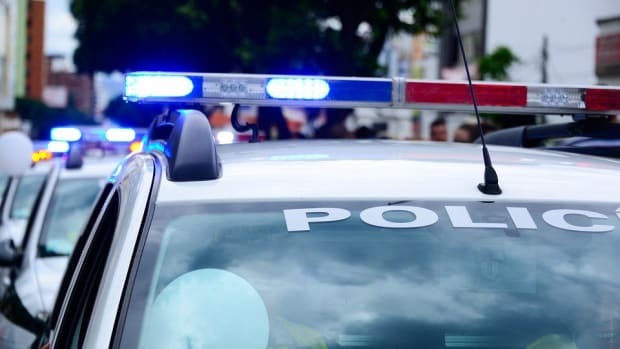 But after having to share the space with atheist displays and coming close to featuring the Satanic Temple’s statue of Baphomet, the people of the town are now inclined to call the whole thing off. 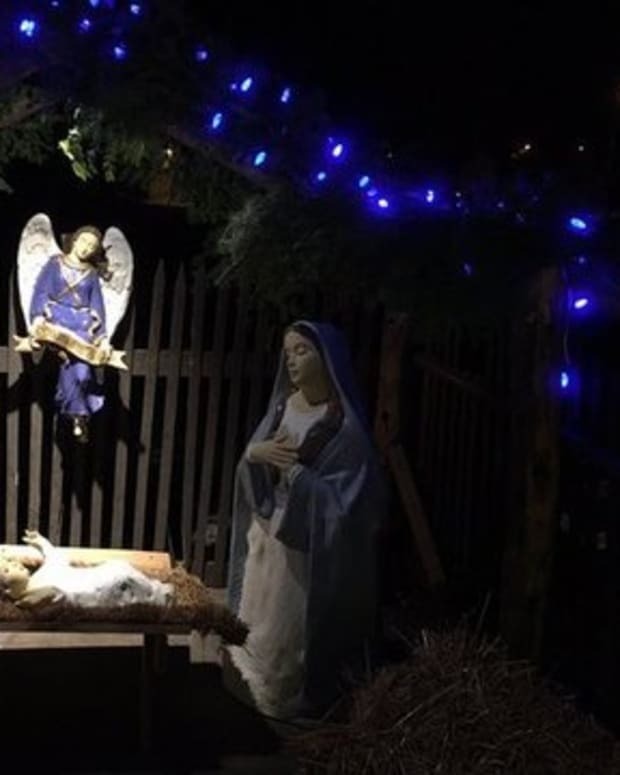 The Freedom From Religion Foundation (FFRF), a nonprofit that advocates for separation of church and state, filed a federal lawsuit against the county after a resident complained about the Nativity display, the Brookville American-Democrat reports. 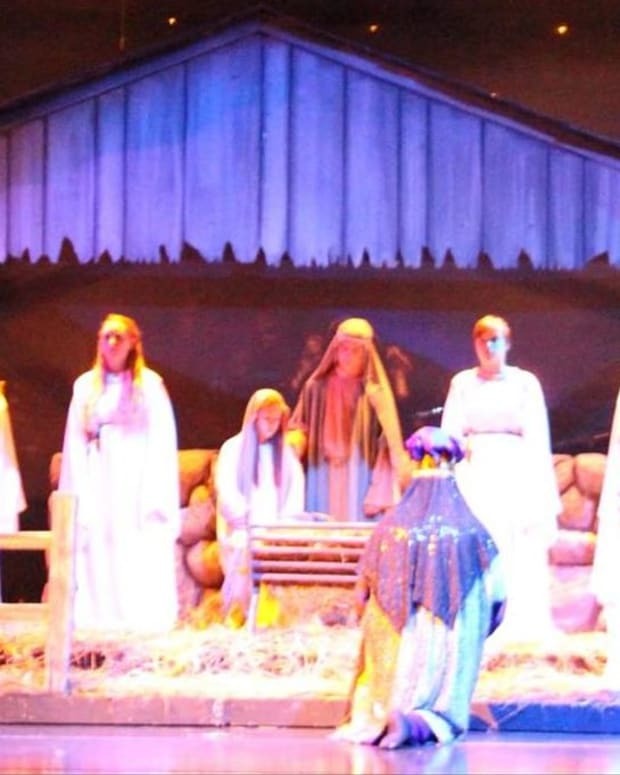 A compromise was reached in 2014: The Nativity could stay if Franklin County passed an ordinance that allowed any religious group to put up a display outside the courthouse as long as it paid a $25 fee and a $250 refundable deposit. The people of Brookville were reportedly appalled when FFRF set up a banner outside of the courthouse. "At this season of the winter solstice, let reason prevail. There are no gods, no devils, no heaven or hell. There is only our natural world. Religion is but a myth and superstition that hardens hearts and enslaves minds." The FFRF also erected its own Nativity scene next to the banner outside the courthouse. 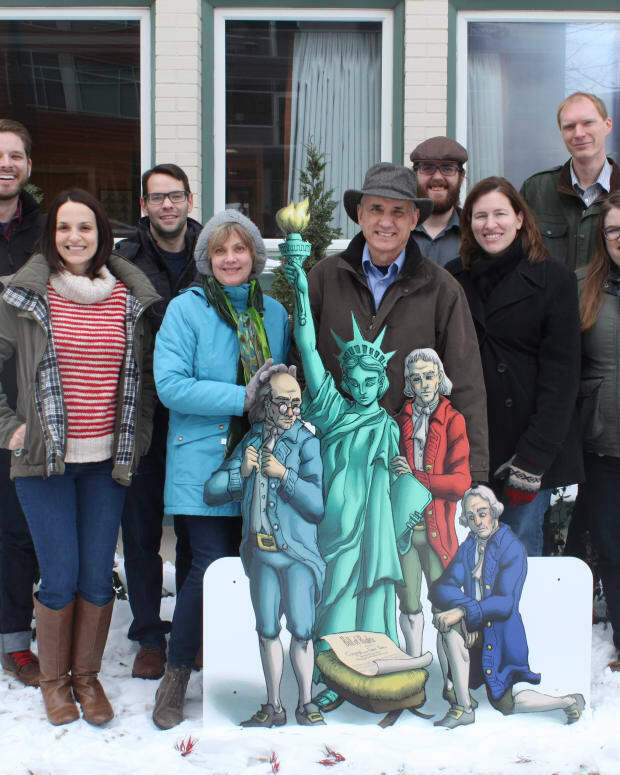 But instead of featuring the Holy Family, this new display depicted the Founding Fathers of the U.S. encircling the Statue of Liberty and the Bill of Rights. The Satanic Temple, from Massachusetts, followed suit and applied to have a statue of its goat-headed prophet, Baphomet, outside the courthouse, Eagle Country 99.3 reports. Franklin County resisted, but a lawsuit filed by The Satanic Temple resulted in an agreement that it could erect Baphomet as long as it found a Brookville-based resident willing to take ownership of the satanic display. The organization, however, never placed a down payment and Baphomet was never displayed on the courthouse lawn. 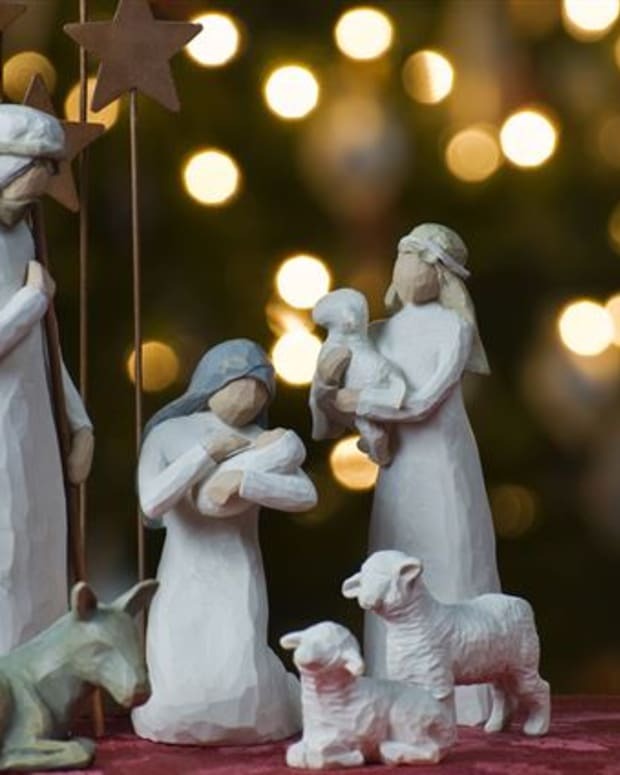 Now the people of Brookville are considering removing the Christian Nativity scene from the courthouse lawn to discourage further applications from organizations they don’t want represented in their community. 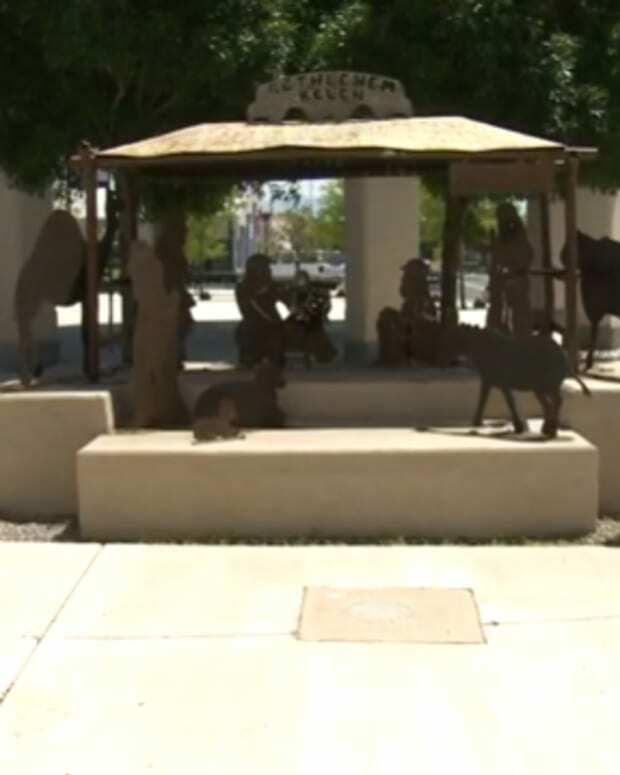 On Dec. 22, the town council voted unanimously to not allow the Nativity scene to be displayed on the courthouse lawn next Christmas season. The town council is considering moving the Nativity to a privately owned bank that is directly across the street from the courthouse.